Lets see the below complete source code that helps to display and generate random number in react native application. Step-2: Open App.js in your favourite code editor and erase all code and follow this tutorial. Step-3: Through react , react-native packages import all required components that required for react native application development. Step-4: First Create the App class inside the app.js file, Then Create constructor in your App class and call the super method inside constructor. Now using this.state we are defining the numberHolder as state. This state object is used to store the random generated number, when user clicks on "random generate" number button. Step-5: inside the App class create function named as generateRandomNumber. This function helps to generate random number and update the random generated value in state object. Step-6: Implement render method and place below layout design inside the render block. 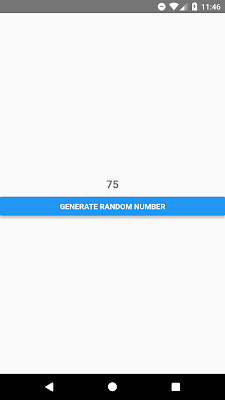 When user clicks on generate random number button,then it will display the random number in Text component layout. 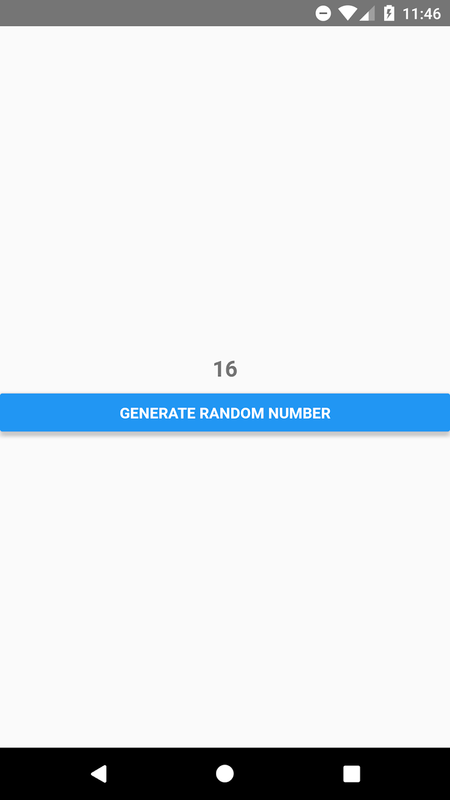 Lets see the complete source code that helps to generate and display the random generated number in screen when clicks on "generate random number" button. 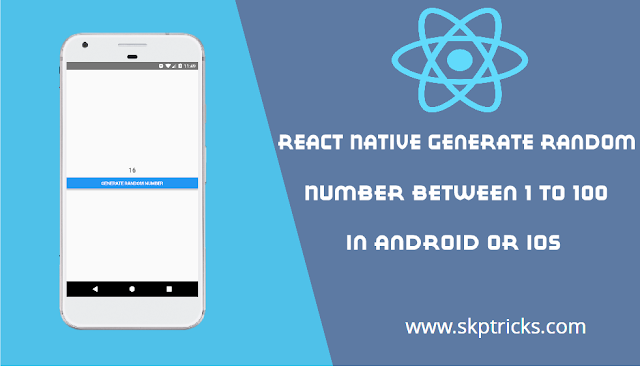 This is all about React Native Generate Random Number Between 1 to 100 in Android or iOS. Thank you for reading this article, and if you have any problem, have a another better useful solution about this article, please write message in the comment section.